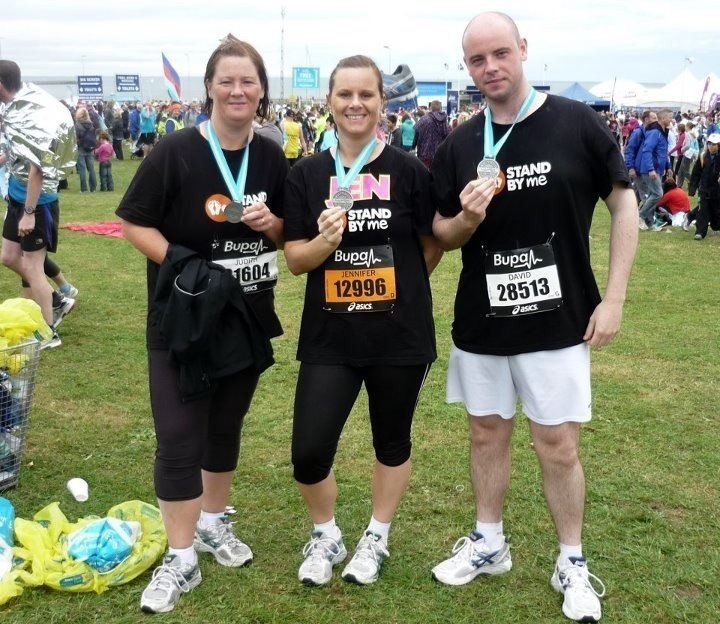 Completing the Great North Run to raise funds for Stand by Me was a momentous occasion for Judith Hoey, Jen Brown and David Boyd. The race guided them along a challenging 13.1 mile route in the North East of England and took place on 16 September 2012, with a 55,000-strong crowd of runners. The three were supporting the fundraising efforts of the “Men on a Mission” group based in Comber, County Down in Northern Ireland, who are partnering with Stand by Me to raise funds for a new dining and assembly hall for the Bethany School in Bekoiji. Judith has also been busy organising other fun activities including a cinema night and a mini fundraising event with the youth group she leads, helping them to raise a fantastic £1,500 towards the ‘Men on a Mission’ project. This will move the group one step closer to achieving their target of building a hall for our Bethany School.